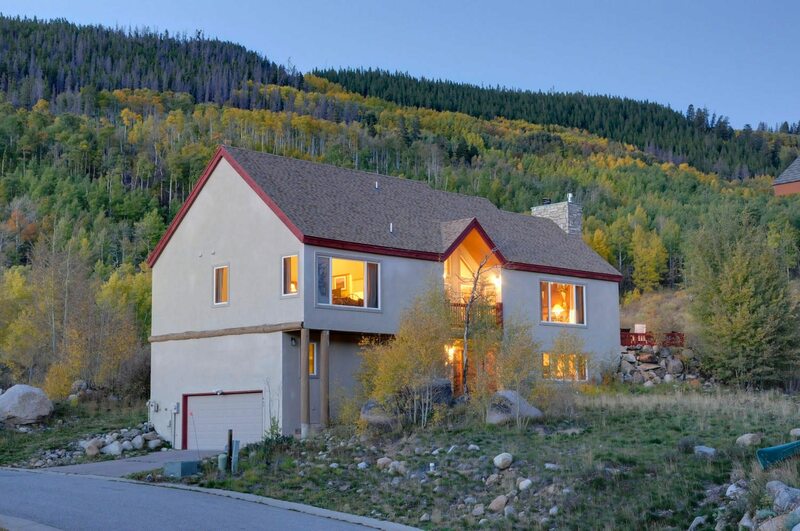 640 Meisel Drive (borders the national forest in the Mountain House base of the ski area). Ski season view from this home. 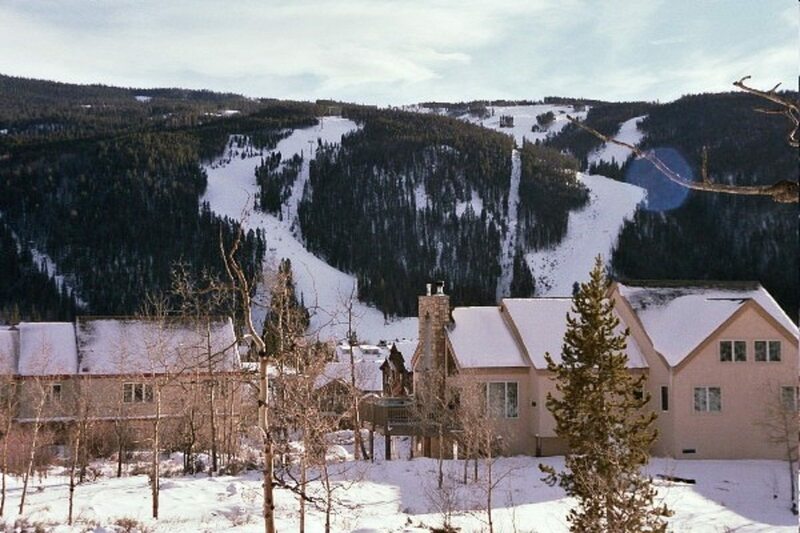 View south toward the ski runs (wide angle lens makes the mountain look twice as far away, but does show the mile-wide view). View of ski runs (regular lens) from this Meisel Drive location. 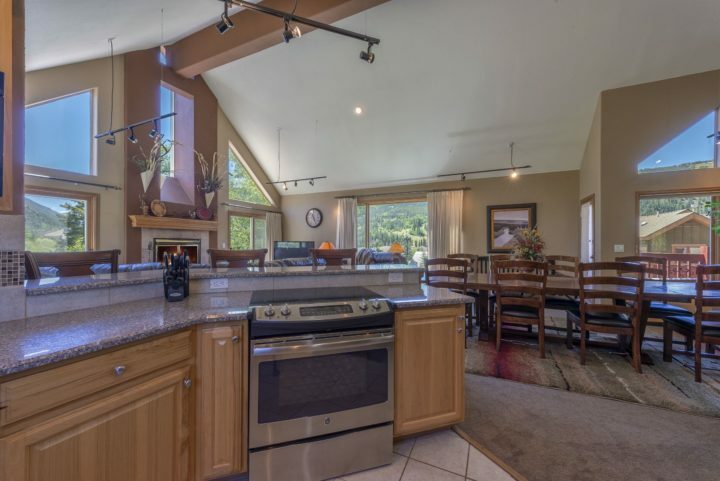 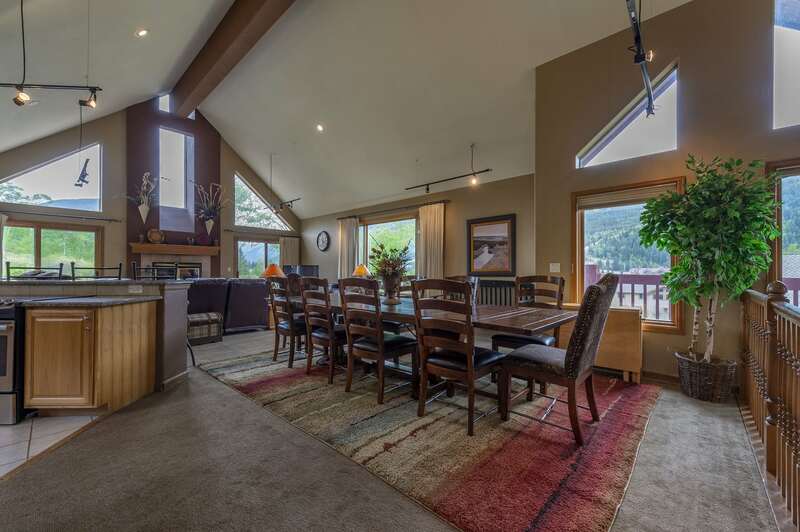 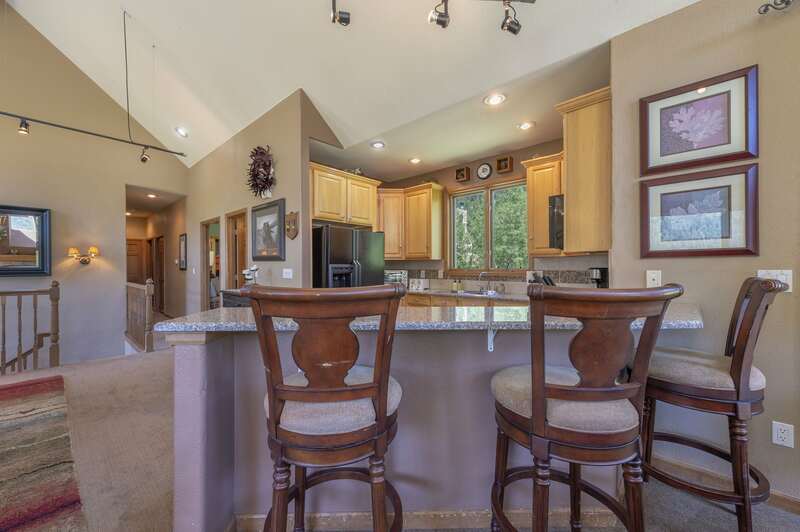 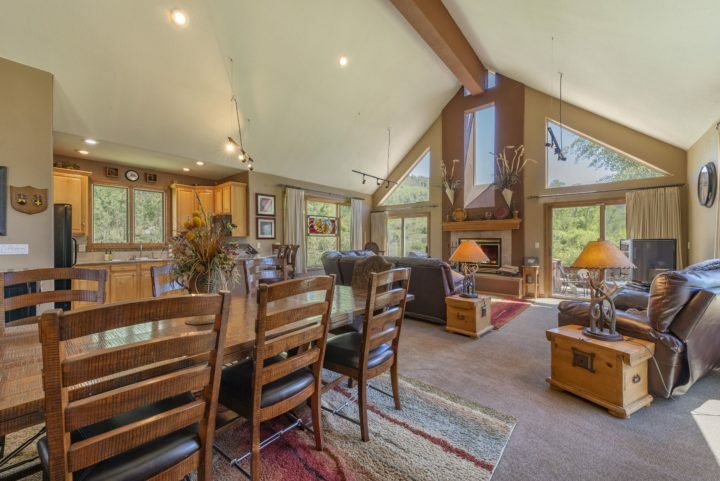 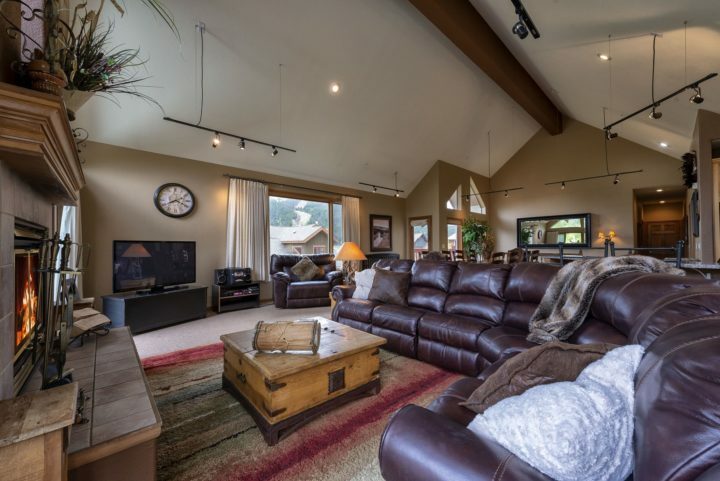 Great Room with vaulted ceiling & mountain views from 3 walls of windows. 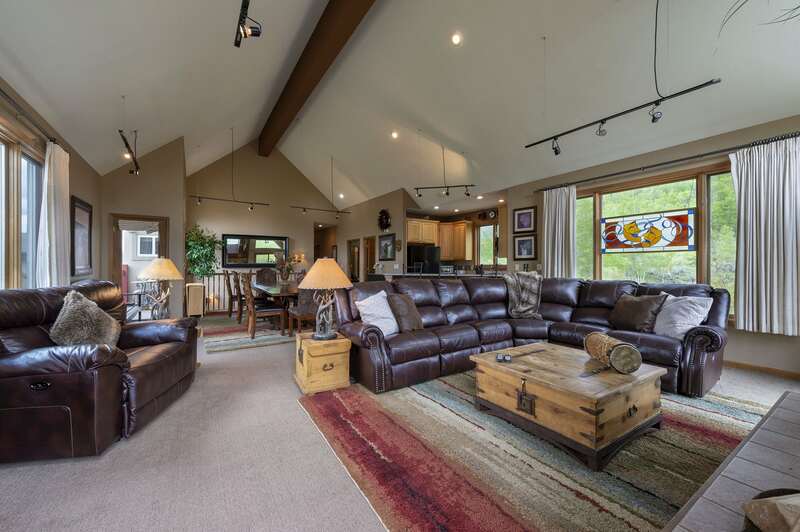 Main Great Room has 3 walls of windows facing the ski runs and surrounding mountains. 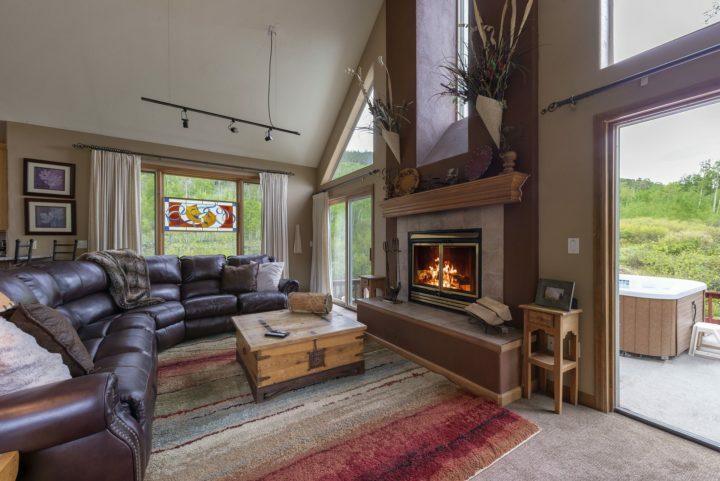 Great Room has big flat screen TV, DVD player, fireplace, and private deck. 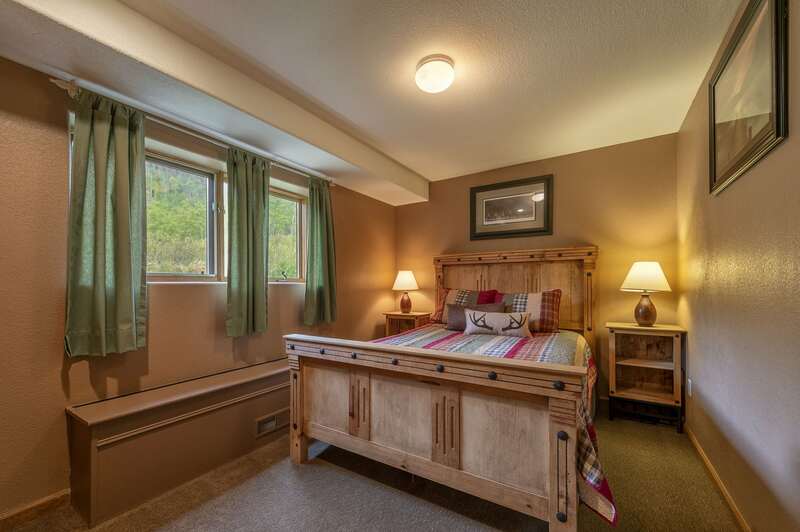 Main room has mountain views in 3 directions. 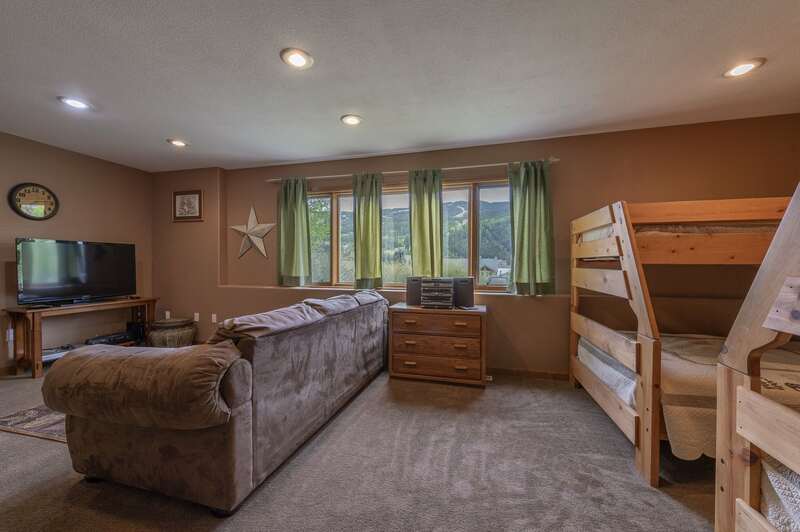 The sofa has 4 fully-reclining seats (just press a button on the side). 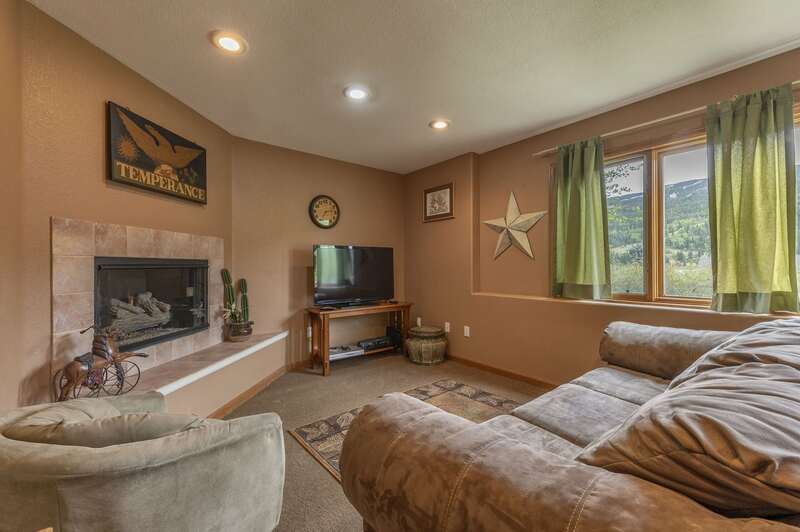 NEW carpet installed May, 2017. Main dining table has 10 chairs plus a bench that seats 3-4 more. 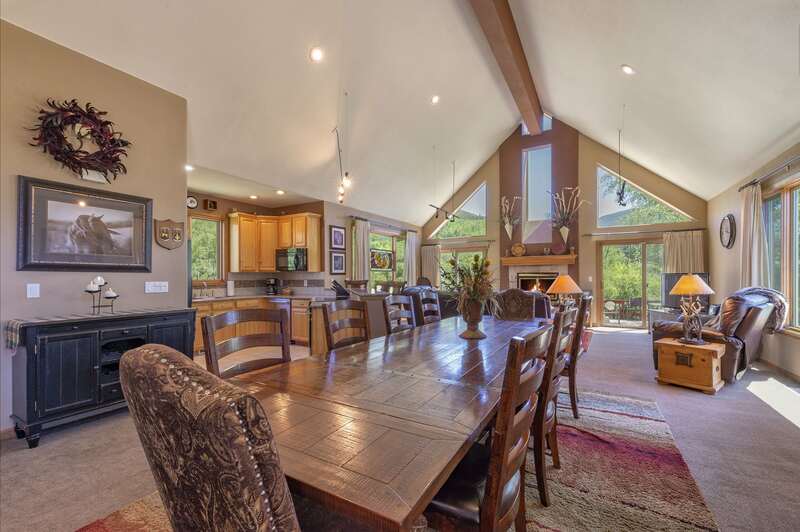 Main living area seats 21 for meals--14 at dining table (with extensions open), 3 at counter, and 4 at portable flip-top table. 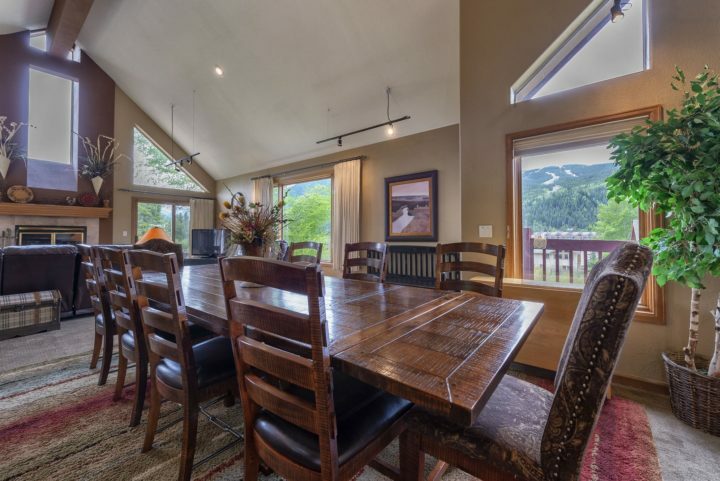 Dining table has mountain views in 3 directions. 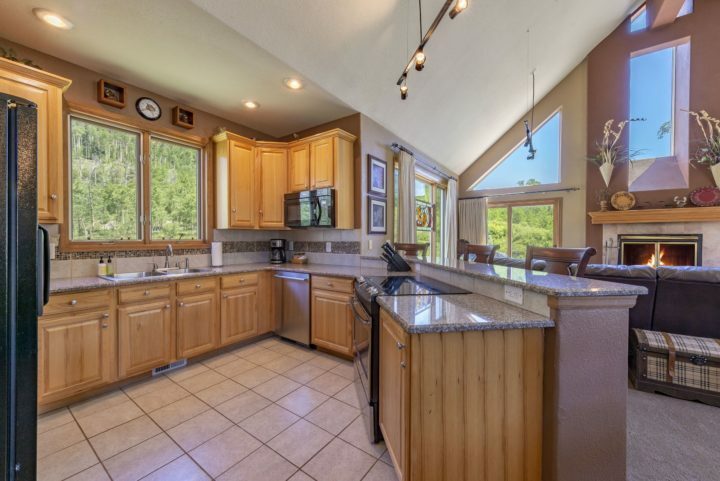 Full kitchen with all appliances, pot, pans, utensils, and everything for the dining table included. Family Room has curtain for visual privacy. 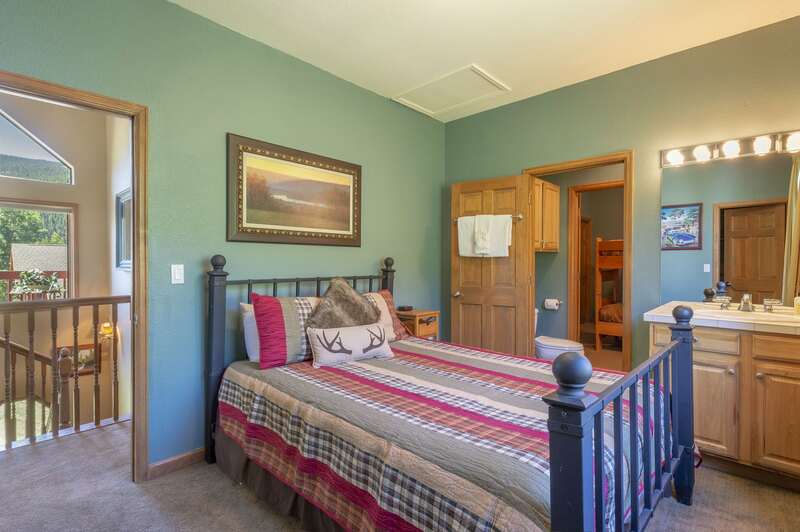 Bedroom 4 shown through doorway. 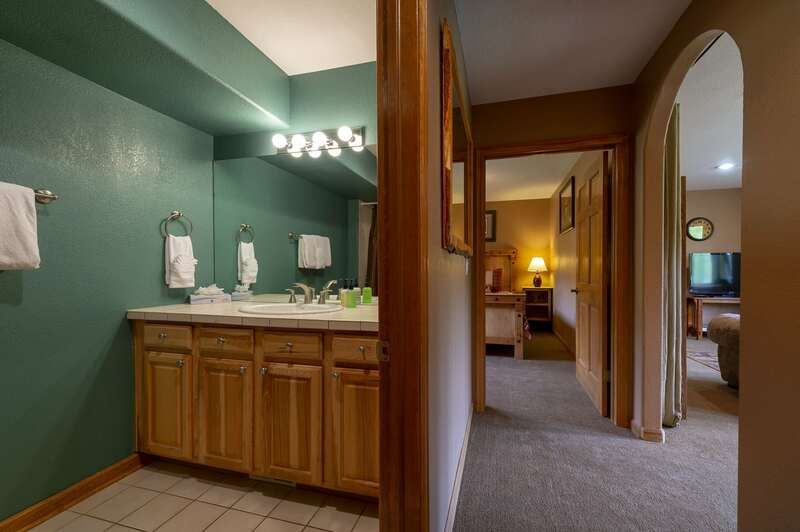 Powder Room--Half bath between Bedrooms 2 & 3 and the main living room. Back patio is surrounded by national forest greenbelt. 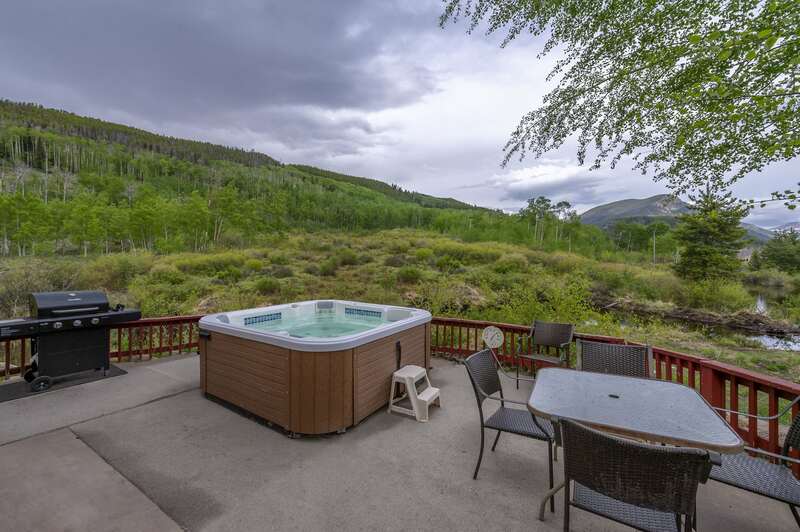 One of about 10 ponds up the hillside behind the house. 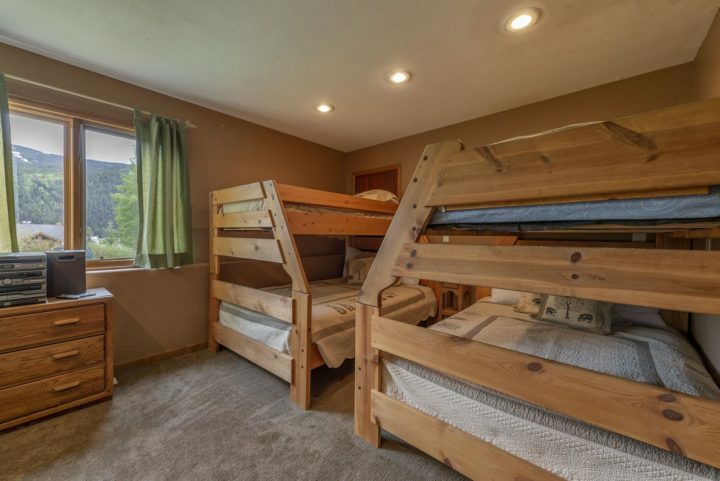 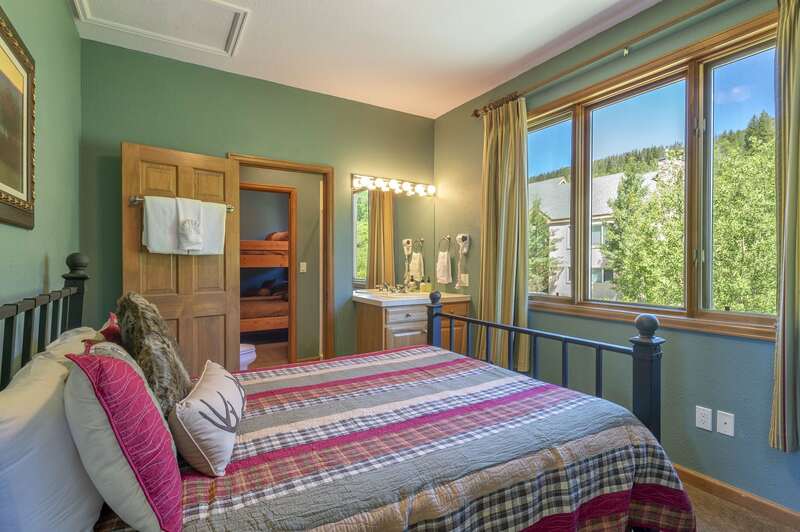 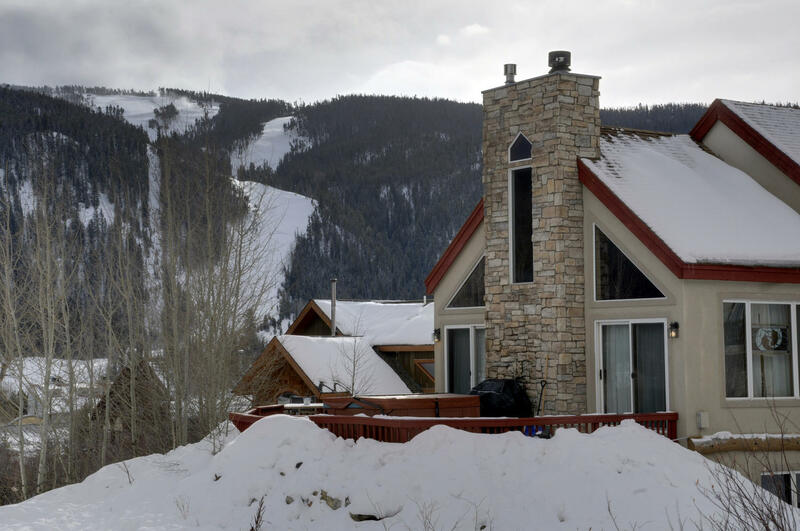 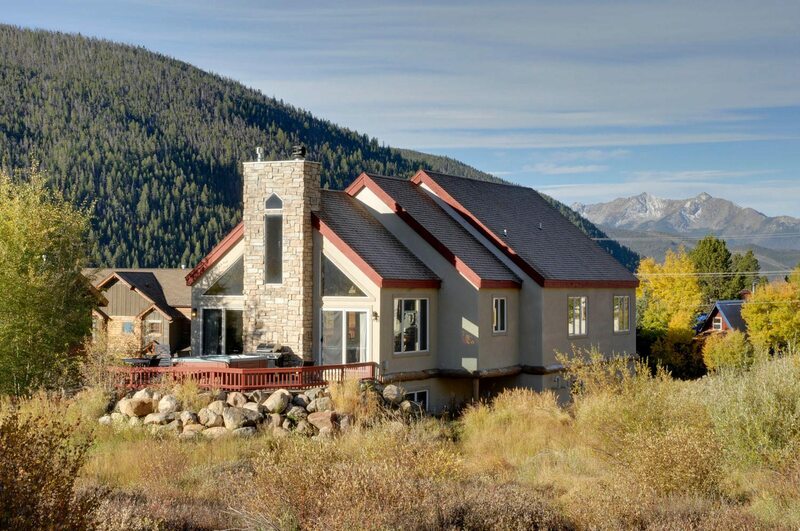 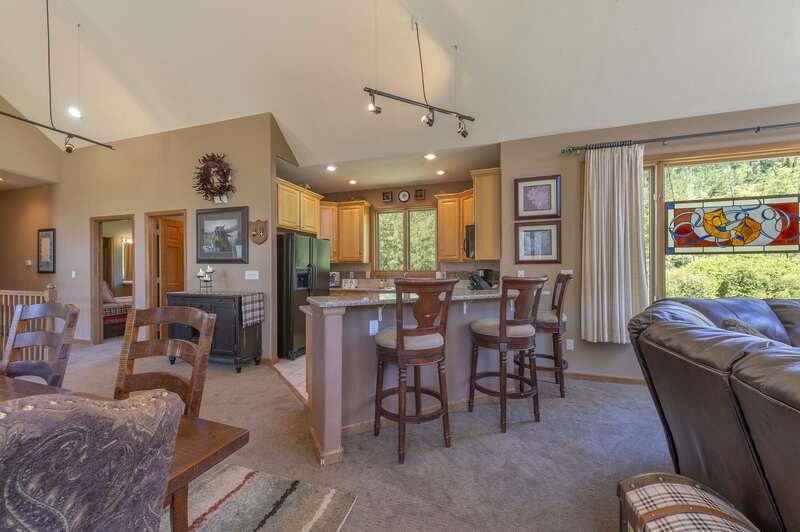 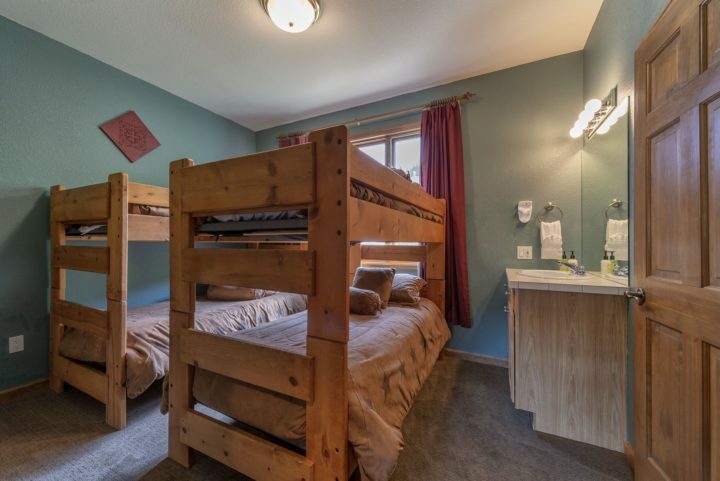 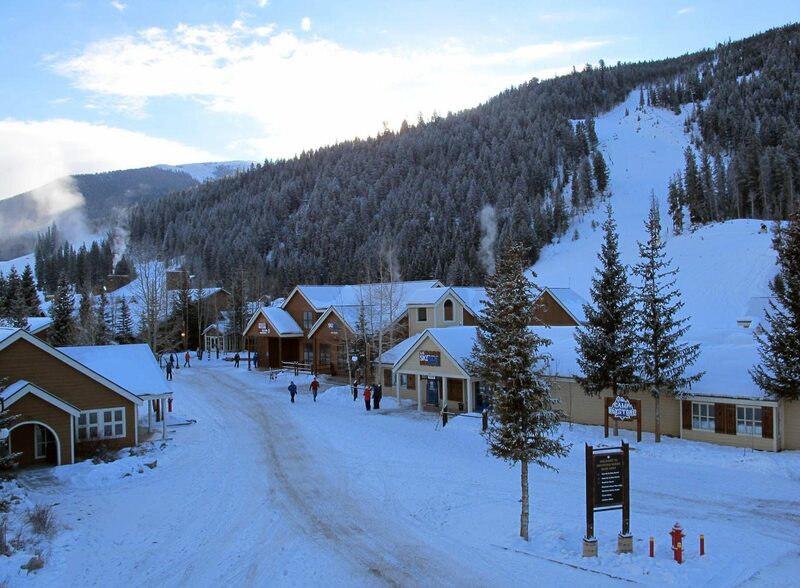 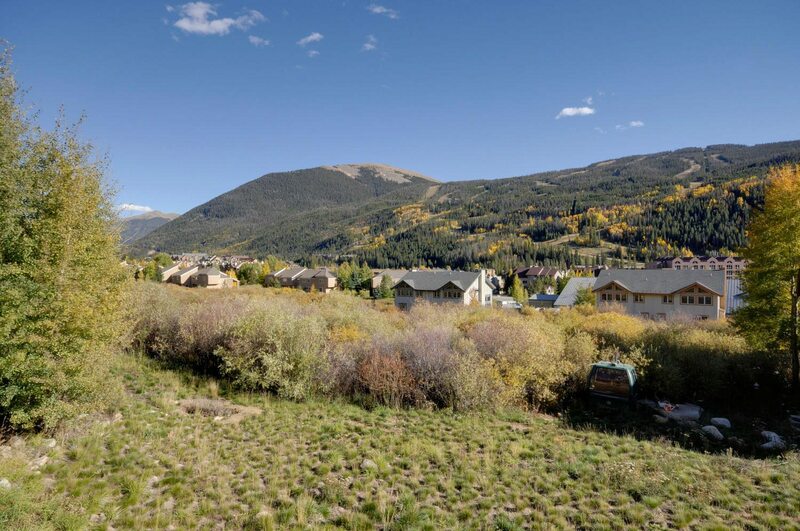 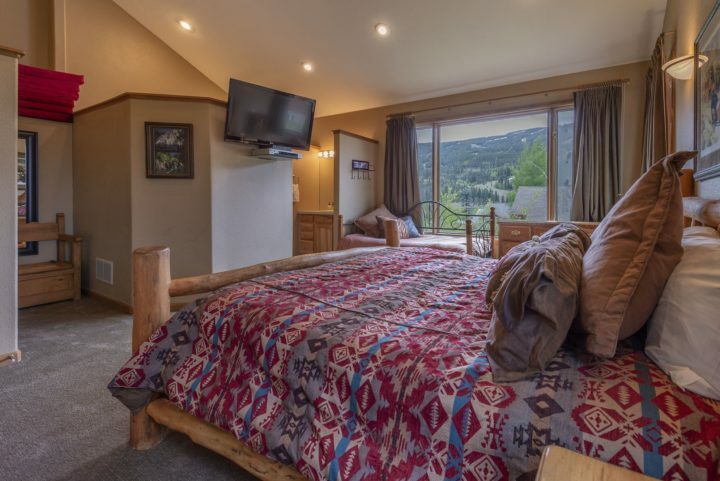 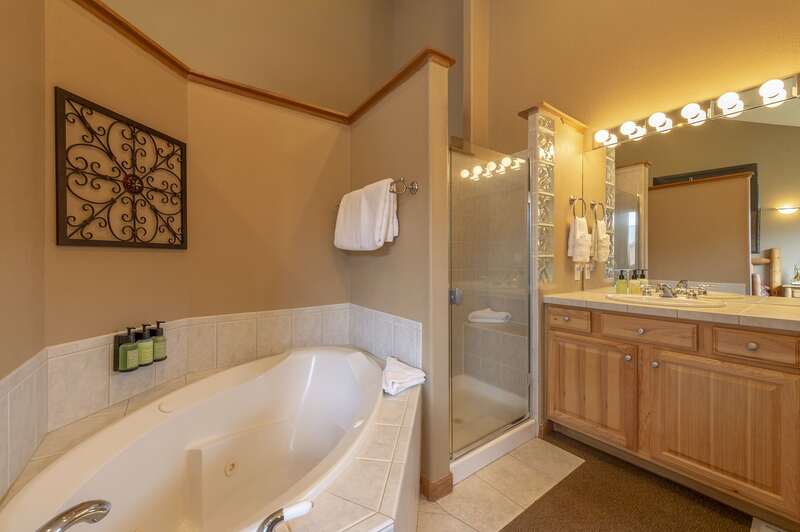 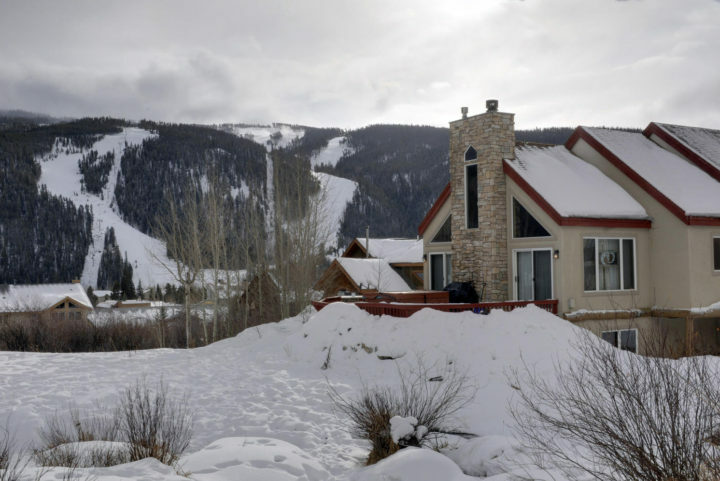 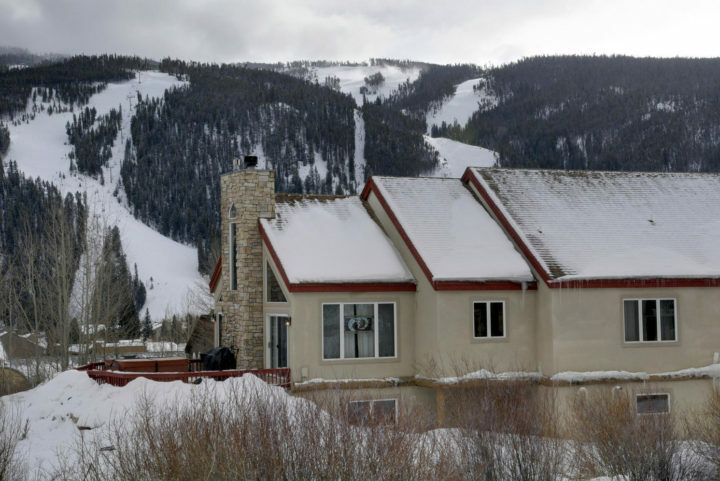 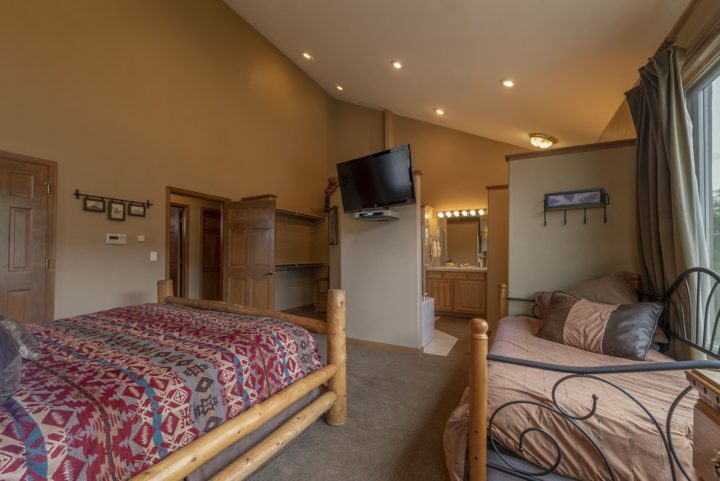 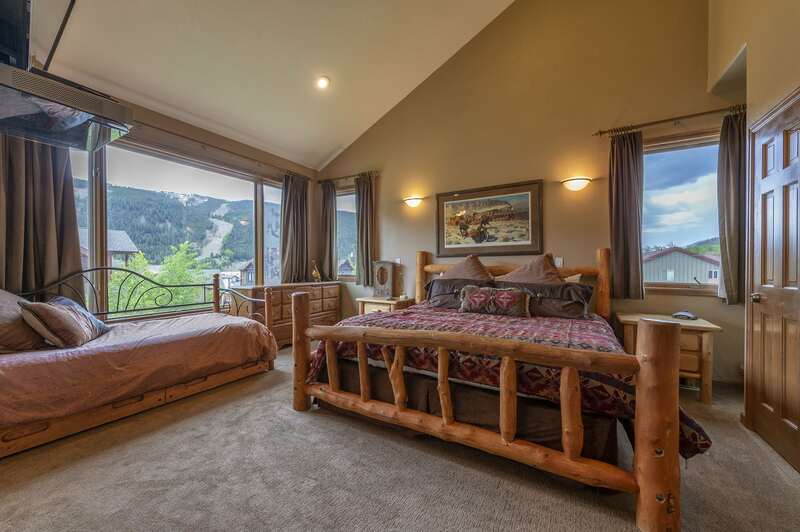 4BR/3.75 Bath private home (5 private sleeping areas—13 separate beds that sleep 20-23) in the Keystone Ski Area. 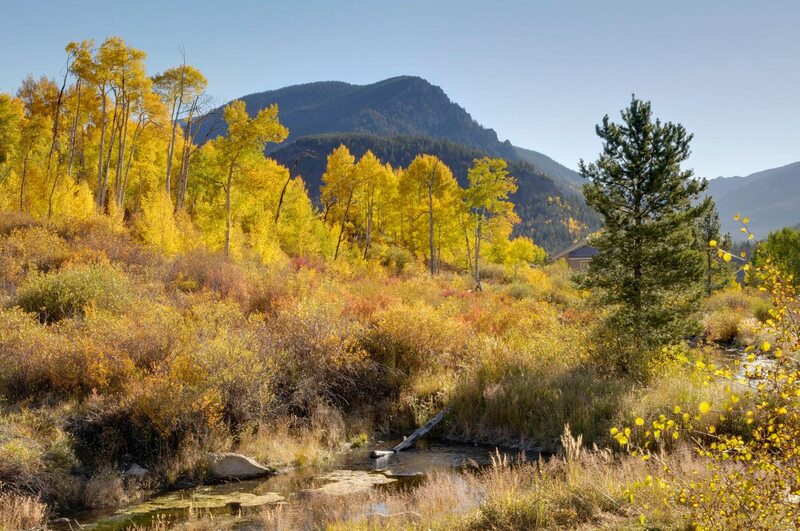 Large private home bordering protected wetlands in the ski area. 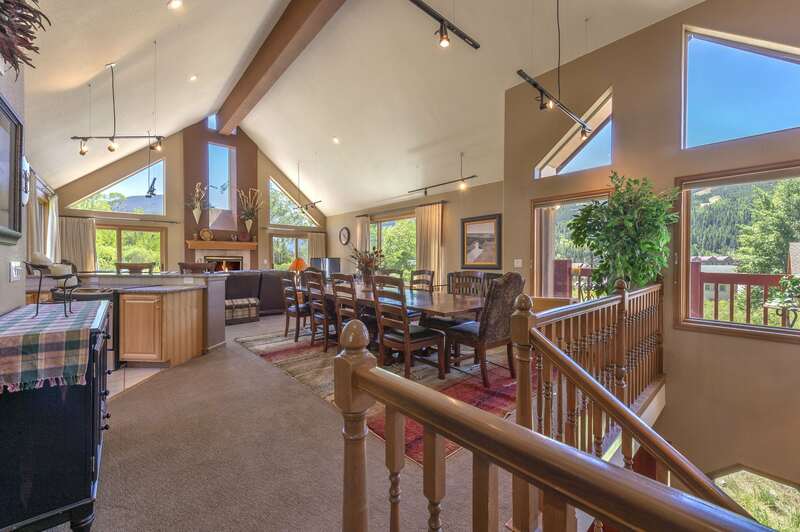 Great room area 3-story vaulted ceiling with windows on three walls. Seats 20-22 for meals. 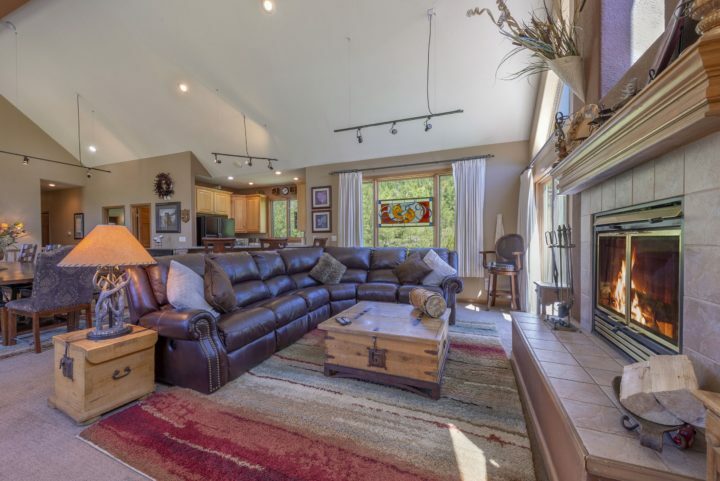 Also has second family room with another fireplace and 2nd TV seating area. 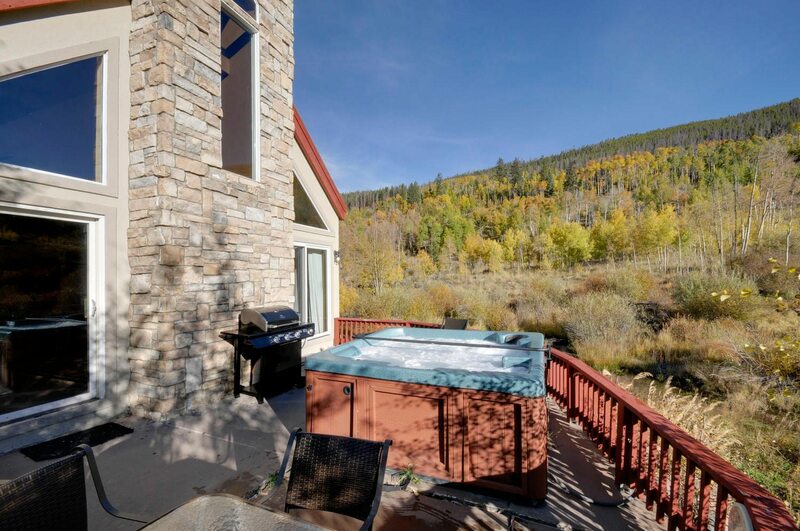 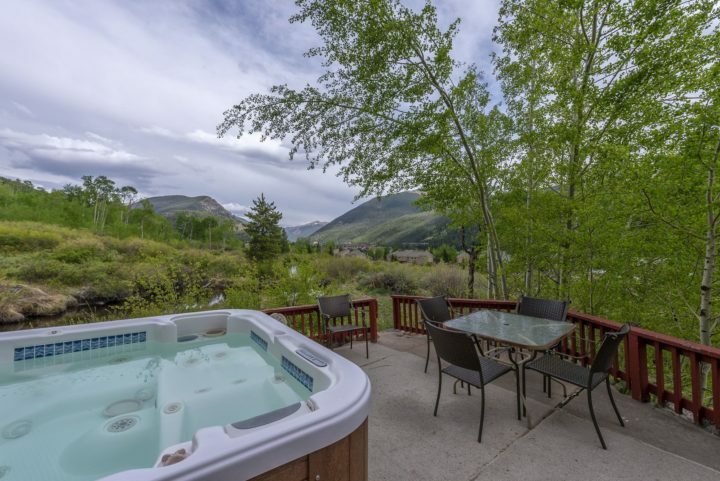 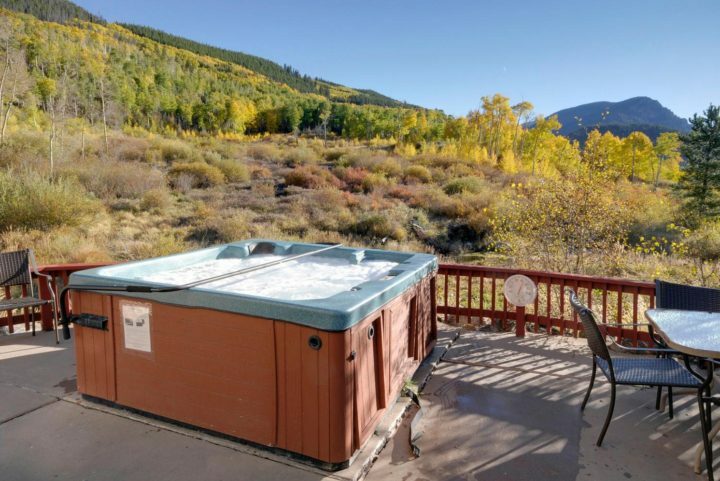 Private hot tub on deck (overlooks acres of national forest greenbelt area). 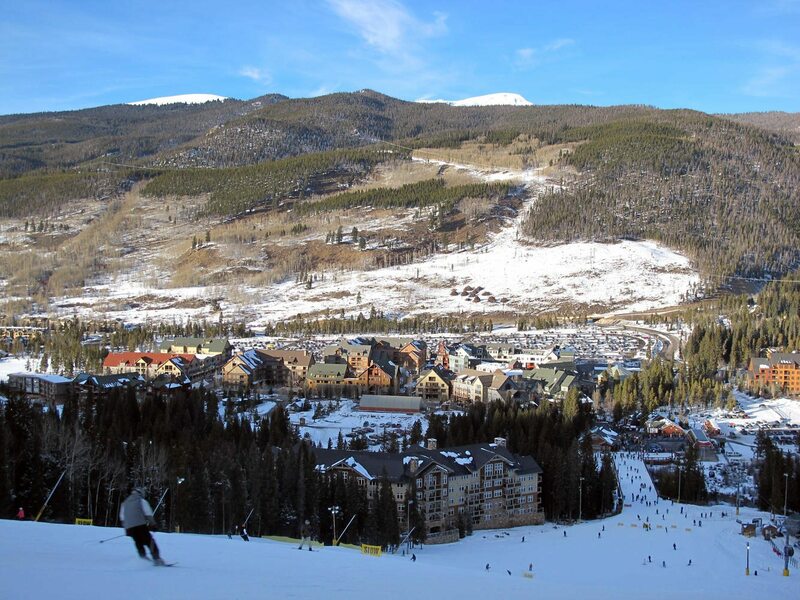 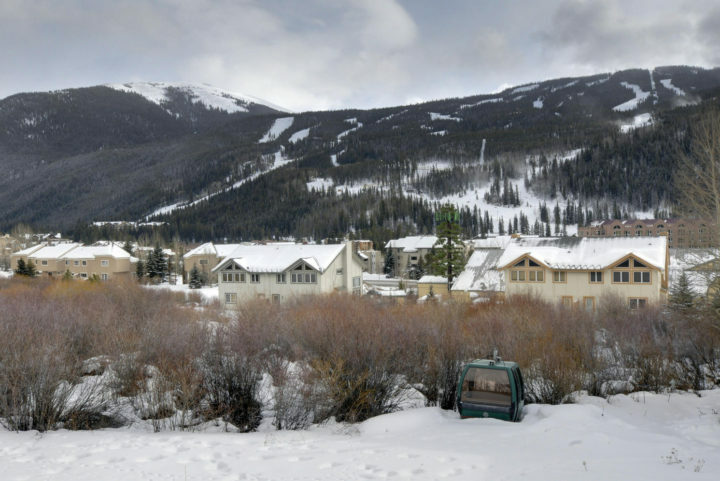 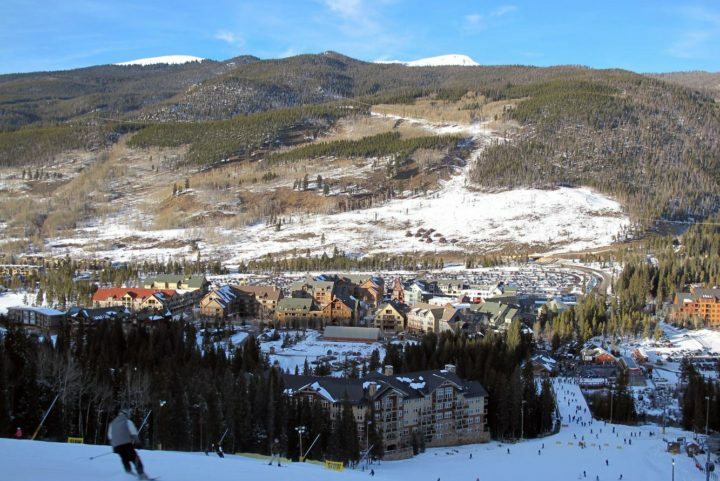 Panoramic view of the Keystone ski runs (day and night) to the south and the Continental Divide to the East. 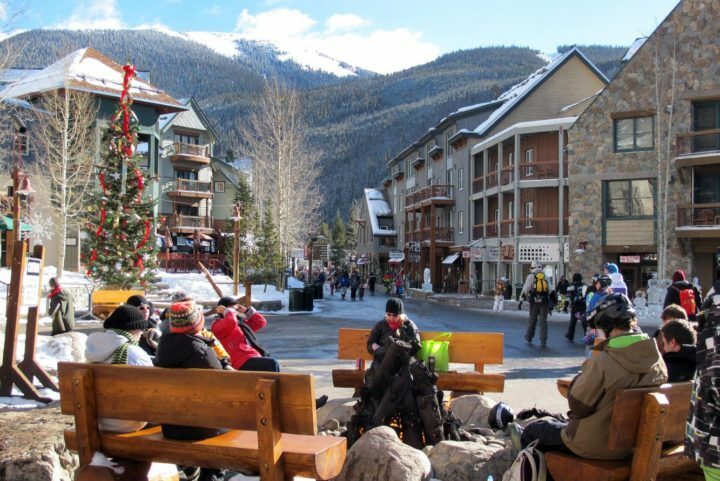 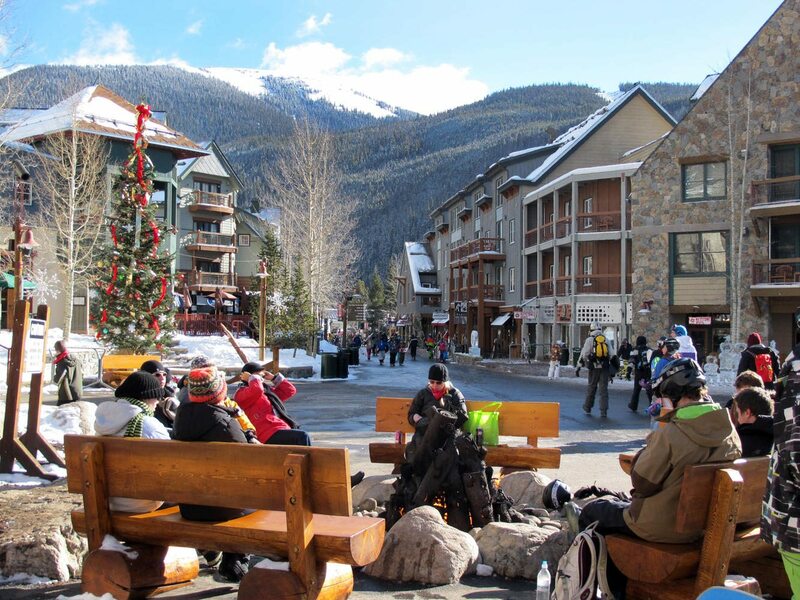 Walk to the Mountain House lifts (6 minutes) or the Keystone free shuttle (1 minute). 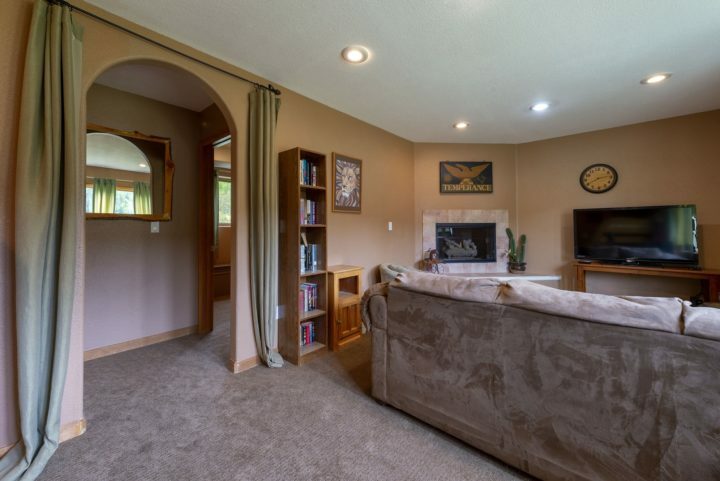 NEW CARPET installed May, 2017. Bedroom 3—Queen bed; full bath (shared with BR2) plus extra vanity sink dressing area in BR3. 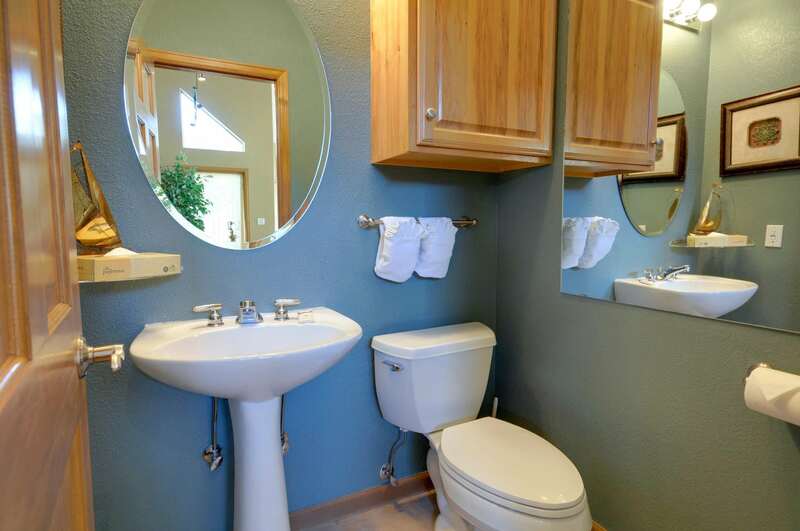 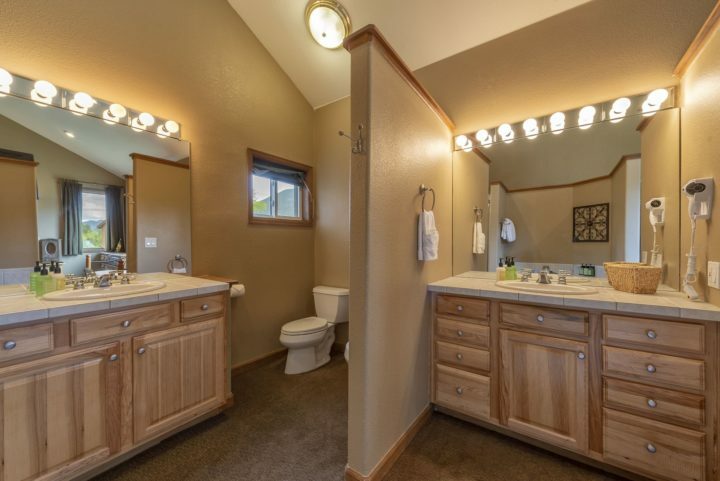 Baths: Total of 6 bath sinks, 3 showers (2 tubs), and 4 toilets in 4 separate bath rooms.